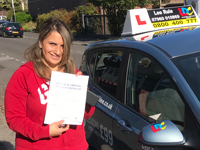 First time pass’ Zero faults!!!! 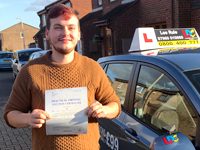 Hi Lee, thank you for today and the last few weeks, I really appreciate your help and advice , you’re a top bloke and I would highly recommend you to anyone, thanks again Dal. 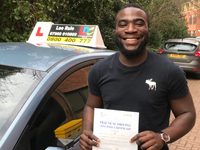 Thank you Lee for all the help I needed to pass my test, you have been supportive accommodating and very considerate in the way you teach. Hi Lee, just wanted to say thank you for the lessons, it was a pleasure working with you and taking your time with me. I could not have asked for a better instructor than you, now that I’ve passed I’ll 100% recommend you to my family and friends. 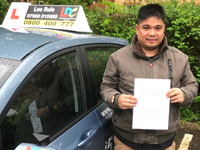 Lee in LDC is a very honest and approachable man and a most knowledgeable instructor, his fees are very reasonable and competitive in the current market. 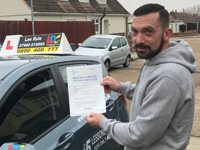 What I liked about Lee is his dedication to share his skills and knowledge with me, I couldn’t recommend him highly enough, thank you very much Lee. 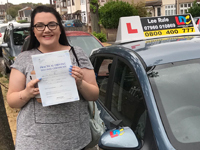 Was only with Lee for a few lessons but really wish I had started driving with lee from the start of my lessons. Couldn't recommend him enough. Had a few issues with my driving which Lee was really quick to iron out and get me test ready. 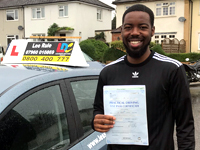 Lee really instilled a lot of confidence in myself and my driving so I was 100% confident before my test. Thanks again Lee.